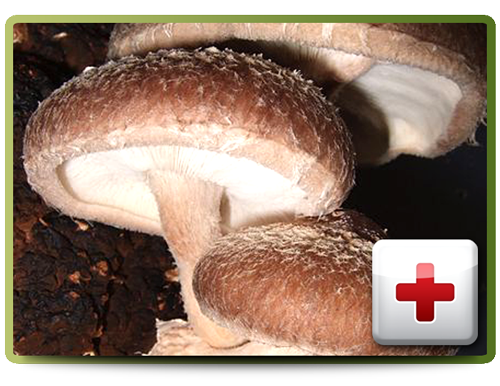 The Shiitake mushroom, also known as the Black Forest mushroom and Golden Oak mushroom, is a saprotrohic mushroom that grows on hard woods. 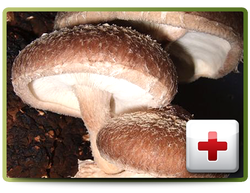 The cap is brown to dark brown and grows up to 6 centimeters in diameter. The stipe is light brown and grows 3 to 6 centimeters tall and 1 to 2.5 centimeters in diameter. The gills are slightly off-white and the spore print is white to buff.